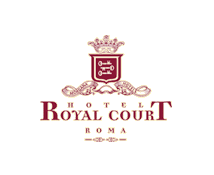 The Hotel Royal Court Rome is glad to provide to its exclusive guests a buffet breakfast every morning from 06.45 to 10.30 during the whole stay. Complimentary service in the room! The hotel provides daily dry cleaning and laundry service for reasonable price. Price lists and laundry bags are provided in every room. Wireless Internet access is now available throughout the hotel offering guests unlimited access of their choice. The plug & play Internet server enables any hotel guest seeking wired connectivity to use the public Internet for e-mail, browser research and access to corporate data networks with little or no change to their laptop’s configuration. Price shown is for the full package, per stay on Double accommodation; for extra persons, please request for eventual supplements at the moment of the booking. You can book this package on-line: check the availability on top, choose the room type you prefer best and then select the package from the additional services list! For any further information please contact the Reservation Department!.